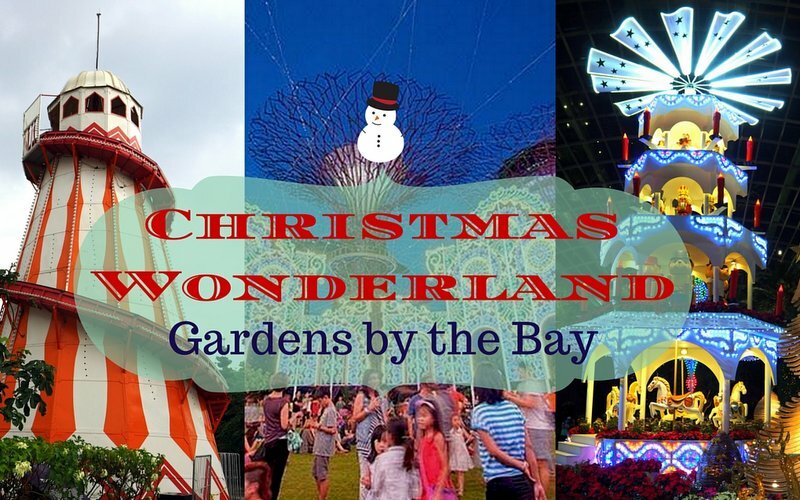 Singapore’s biggest yuletide fair, Christmas Wonderland, returns to Gardens by the Bay! The fair will showcase more Italian Luminarie light sculptures, an expanded event ground, a European-style Festive Market, traditional rides and games, and a comprehensive repertoire of new attractions and entertainment for visitors of all ages. Spanning over almost twice the size compared to last year's edition, visitors can embark on an experiential journey through four main areas – the magnificent Luminarie light sculptures which begin at the Golden Garden and extend throughout the festival site; the Ice Palace and Festive Market at the Supertree Grove; The Fairground near The Meadow; and the Christmas Toyland floral display in the Flower Dome. 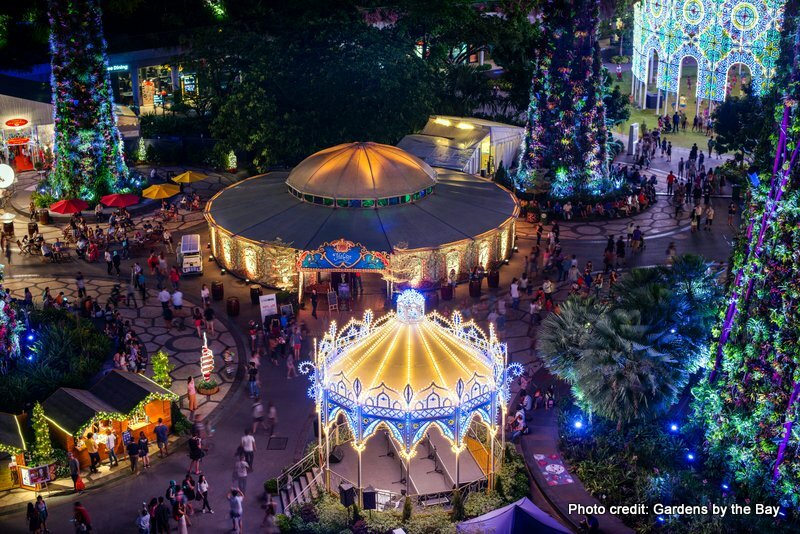 In addition, visitors can experience 'snow' in Singapore during Blizzard Time at the Spalliera, the largest Luminarie light sculpture, or have Fun With Bubbles at The Fairground! If you only have time for one Christmas event this festive season, this is THE one to head to. But a word of caution, do expect a huge crowd to descend onto Gardens by the Bay. My advice is to probably go later in the night if the kids are night owls... since the lights are on until midnight. The Italian Luminaries are magnificent sculptures of light handmade by skilled craftsmen using white wood from the south of Italy. This year’s lights will feature an all-new architectural design reminiscent of the medieval period. The structures already look so stunning in the daytime so imagine the magic when the light bulbs are lit come night fall. 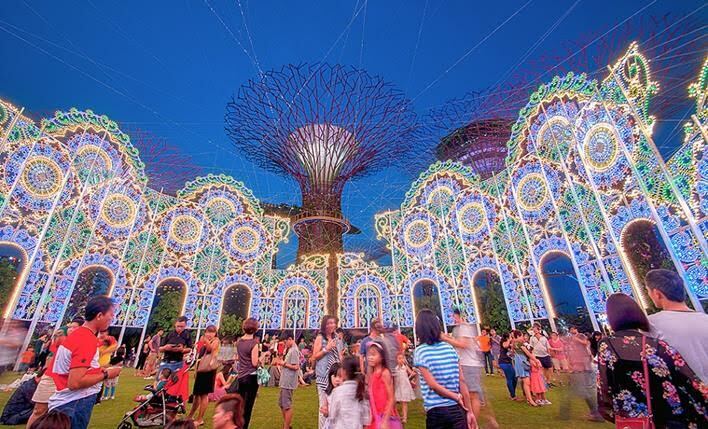 For the most spectacular Luminarie of all, head to the Spalliera in the middle of Supertree Grove. Towering over 20m, it is the largest Luminarie and will surround the Cassa Armonica, an 8m-wide beautifully illuminated gazebo. A special line-up of carollers will perform at the Cassa Armonica from Tuesdays to Sundays. Revel in the wonder of ‘snow’ in the tropics with the Nightly Blizzard Time within the Spalliera, happening at least three times every night. 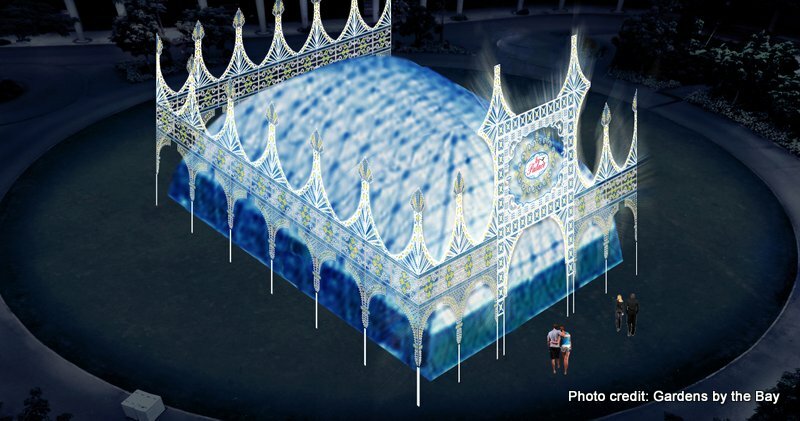 The Ice Palace makes its debut at the festival this year. Visitors can make snow angels at the Snow Playground or experience ice skating in the tropics. 9 sessions will be held daily. Each session lasts 30 minutes and can accommodate 25 persons. Time slots are to be booked on site. 9 sessions will be held daily. Each session lasts 30 minutes and can accommodate 100 persons. Time slots are to be booked on site. Skating aids are available upon request for non-skaters. Cost: $14 per child/adult, for each 30-min session (inclusive of skates) | Gloves and socks are available at an additional $2 per pair. Take in the sight of the majestic Supertrees in all their splendour as they come to life in a special Christmas edition of the “Garden Rhapsody” light and sound show. Enjoy familiar Christmas tunes as you soak in the festive ambience of the Supertree Grove. Another new festival feature, The Fairground will delight visitors with its array of traditional carnival rides and game stalls never seen before in Singapore. 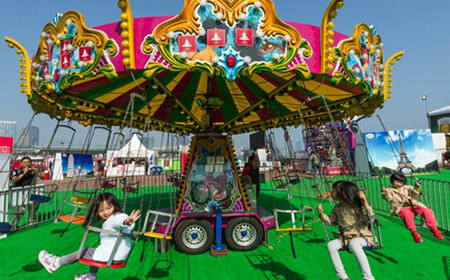 Located near The Meadow, enjoy carnival rides including a vintage style carousel, or pit your skills at the carnival game stalls and win attractive prizes. All the attractions run on a token system and tokens can be purchased across the festival site at various key locations. One FREE highlight is the 'Fun With Bubbles' segment (Timings: 7pm, 8.05pm & 9.10pm daily) where kids will be able to revel in the play of bubbles! Classic iconic British funfair attraction and at 14m in height, it is tallest slide in Singapore. Yes, even beating the T3 Slide at Changi Airport. 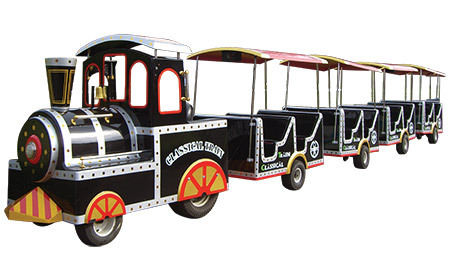 Running for 8 minutes per cycle, the train is powered by batteries. Visitors will be able to enjoy the cool rush of air while taking in the panoramic sights of the fair grounds in this classic iconic British funfair ride. 7 carnival game stalls, including Extreme Basketball, Can Smash and Roll-a-ball. The Spiegeltent is an ornate century-old travelling ‘mirror tent’ from the Netherlands. Originally built in the late 19th and early 20th century, only a handful of them remain in existence. These spectacular pavilions are sumptuous fairground attractions. At Supertree Grove, the Spiegeltent will be home to Harry's Restaurant which will serve up a specially curated festive menu items such as Harry’s Merry Wings, Cajun Spice-rubbed Turkey, Smoked Duck Breast with Marmalade Glaze, Rudolph’s Gingerbread and Raspberry Sundae as well as weekend brunch experience by Harry’s. A crowd favourite in 2014, the European-style Festive Market, similar to Christmas markets in United Kingdom and Germany, returns to the Supertree Grove. 19 traditional huts were specially brought in from the United Kingdom. With renowned food and beverage operators comprising of Brewerkz, Saybons, Bakerzin, Chef on Wheels, and Peach Garden, visitors can indulge in a wide range of international cuisine and wines. Here’s a chance for little ones to meet Santa Claus and have a memorable phototaking moment with Santa! Visit Santa at his Cottage from Thursdays to Sundays, 5pm to 10pm. Charges apply for photo-taking sessions. Toys reign supreme amidst yuletide floral favourites like the poinsettia, Christmas rose, winter heather and holly. Towering over the enchanting floral display is the centerpiece of Christmas Toyland – a 11m-tall Christmas Pyramid decked with toys. The multi-tiered traditional German wooden carousel will transform into a ‘live’ stage, hosting a series of festive performances for the very first time in the Flower Field! Want MORE reasons to visit Christmas Wonderland @ Gardens by the Bay? Visitors to Christmas Wonderland will stand a chance to win a trip for two to Hong Kong. 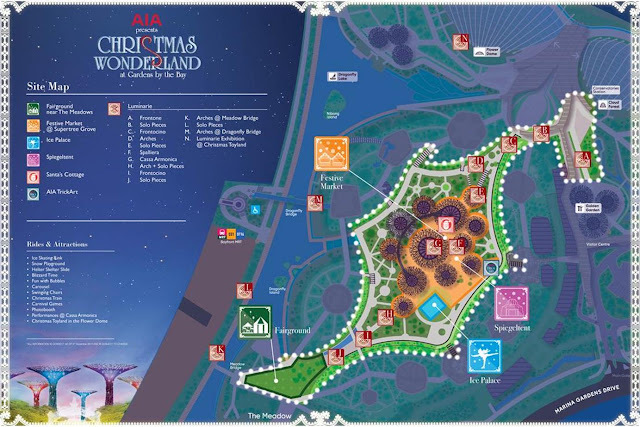 To qualify for the draw, visitors will need to obtain at least three stamps on the Christmas Wonderland Passport, which will be given out at Christmas Wonderland information booths within the Supertree Grove. The stamps can be collected by experiencing various attractions within the fair. Other prizes include a staycation for two at The Club Hotel, and S$200 worth of dining credits at Harry‟s. Terms and conditions apply.